Spotlighting Our Stories Section; Join in the Fun! The Stories section in the NLSC Forum isn’t as popular as it once was, in part due to changing demographics and basketball gaming habits. However, there has been some renewed interest in sharing franchise and career mode stories in recent months. To that end, I’d like to spotlight some of the tales that are currently being told on the virtual hardwood. NLSC 2K Pro-Am team member Valor has been running with an expansion franchise – the Chicago Sharks – in NBA 2K17. Currently in the second season, they’ve been able to make some noteworthy free agent signings. Speaking of NBA 2K17 stories, Phil89 is running one titled “Enter the Dragan“. 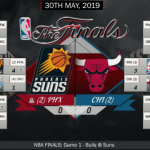 It features the Phoenix Suns, who are currently squaring off with the Chicago Bulls in the 2019 NBA Finals. 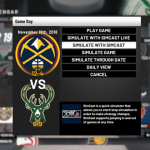 A rather unique NBA 2K14 story is being told by truefaith0826. 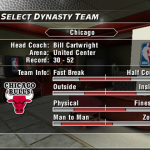 Set in the 1996 season using a combination of Ultimate Base Roster and U R Basketball assets, it features some fantastic presentation including video recaps and artwork from NBA Live 96. Speaking of throwback stories, Kevin is running an NBA 2K17 story currently set in the 1997 season. Notably, he’s using an expansion team: the Montreal Hyenas. Jumping over to NBA Live 06, Breems is attempting to re-write history with the 2006 Washington Wizards. The story already features a noteworthy trade, and is approaching the All-Star Weekend. We’ve seen some great NBA Live 10 stories over the years, and cavs4872 is looking to recapture that with a new tale featuring the Houston Rockets. A couple of offseason moves have been reversed, and Allen Iverson has ended up in an unexpected destination. Contributor Dee4Three has taken a fantasy approach to an NBA 2K17 story, pitting historical teams against each other with injuries disabled. It’s resulting in some interesting match-ups to say the least. With NBA Live 19 and NBA 2K19 on the horizon, I hope that we can see further activity in our Stories section. As our interviews with various members of the community hopefully demonstrate, a lot of people have had fun sharing their franchise and career experiences with their fellow basketball gamers over the years, and it’d be great to see that trend return. Whether it’s through written recaps or video content, franchise or career modes, a new game or old, I invite everyone to join in the fun! 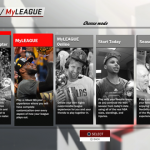 In the meantime, be sure to check out the aforementioned stories, the other active topics, and of course, the Story Hall of Fame for both NBA Live and NBA 2K. This is Wayback Wednesday, your midweek blast from the past! In this feature, we dig into the archives, look back at the history of basketball gaming, and indulge in some nostalgia. Check in every Wednesday for retrospectives and other features on older versions of NBA Live, NBA 2K, and old school basketball video games in general. You’ll also find old NLSC editorials re-published with added commentary, and other flashback content. 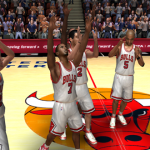 This week, I’m taking a look back at GM Mode in NBA Live 98. Although I’ve gravitated towards MyCAREER and 2K Pro-Am in recent years, I’ve traditionally been a franchise gamer. For those of us who remember playing basketball games with a single season mode, the ability to play multiple seasons while managing our roster through the Draft, free agency, and salary cap-restricted trades was something that we eagerly wanted to see. 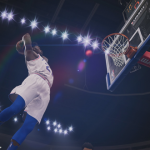 As basketball gaming approached the turn of the millennium, the demand for an in-depth, multi-season mode – what we would now refer to as a franchise mode – was steadily rising. Although we’ve come to see fantastic franchise modes, it’s been a long road to get to that point. Welcome to this week’s edition of The Friday Five! The Friday Five is a feature that I post every Friday in which I give my thoughts on a topic that’s related to NBA Live, NBA 2K, and other basketball video games, as well as the real NBA, and other areas of interest to our community. The feature is presented as either a list of five items, or in the form of a Top 5 countdown. This week’s Five is a list of teams that you might consider trying to rebuild in this year’s franchise modes. Last week, I discussed some of the most appealing options in terms of teams to use in this year’s franchise modes. This week, I’m looking at some of the more challenging options, in the form of teams that are currently rebuilding. Admittedly a couple of the teams that I mentioned last week are in rebuilding phases themselves, but they also happen to have a bit more talent on their rosters, including players with definite superstar potential. The teams I’m focusing on this time around generally aren’t quite as talented, but still present some interesting scenarios for franchise gamers. Assuming control of a rebuilding team in a franchise mode can be an unusual experience. Depending on your skill on the sticks, lottery-bound teams can greatly overachieve, even pulling off unlikely championship victories in year one. Of course, you’ll certainly have your work cut out for you, and the rosters of teams who are bottoming out or trying to claw their way back to respectability aren’t always fun to play with. At the same time, the challenge they present can be an enjoyable change of pace. With that in mind, let’s take a look at five teams that you can try to rebuild in the franchise modes of NBA Live 18 and NBA 2K18.